Have you blown it recently? Or, put negatively, we are not to give in to the temptations of aggression under the constant pressure (1 Tim 3:3). The reason was highlighted for me in a conversation with a pastor friend, about an incident at the sound desk one Sunday. Something had gone spectacularly wrong during a service, and afterwards someone let rip at the volunteer responsible. The ripples of anger reached not only that man’s family and friends, but right to the elders and deacons by the time of the next service. The sound team was about to lose lots of key volunteers. And my friend had to make that a teaching point for the younger person concerned: one misjudged word from us, and it’s amplified round the congregation. 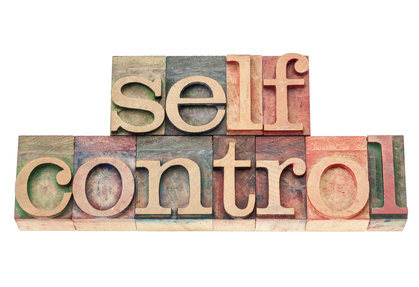 That’s why mature self-control is such a key aspect of leadership. It’s not that we know more, but that we know more of Christ: we’ve experienced so much of his patience and kindness towards us, that we know how important it can be to extend that to others. Grace, kindness, patience, Sunday after Sunday, requires enormous self-control. And that’s hard when people have high standards for what we do – and when we do as well. When there’s a glitch on the notice sheet, I feel responsible, affronted and therefore irritated. In other words, my pride is dented. I need to remember that the key issue is getting the gospel out, and it’s not my reputation on the line: it’s the Lord’s. And he, under pressure, modelled self control: ‘When he was reviled, he did not revile in return; when he suffered, he did not threaten, but continued entrusting himself to him who judges justly. He himself bore our sins in his body on the tree, that we might die to sin and live to righteousness. By his wounds you have been healed. For you were straying like sheep, but have now returned to the Shepherd and Overseer of your souls’ (1 Pet. 2:23-25). That’s how an overseer shows self-control. So we value accuracy and excellence, and obedience and theological precision; but we have to value love and forgiveness more. Why more? Because we will never get perfect accuracy or unblemished excellence. So we will have to exercise self-control. Perfect standards will not be met in any church this side of heaven. Thanks Chris, enormously helpful and very pertinent to my day!